In 1989, OSHA introduced Standard 29 CFR 1910.147 The Control of Hazardous Energy in order to establish lockout tagout compliance requirements for general industry. 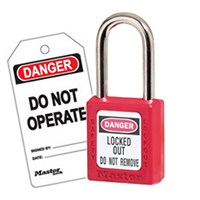 Lockout/Tagout is the process of controlling hazardous energy during the service and maintenance of machinery and equipment. These safety specific work procedures safeguard employees from accidental injuries or even death. The Control of Hazardous Energy lockout/tagout) has been listed within OSHA‘s top 10 most frequently cited standards for several years. Non-compliance with this standard has resulted in thousands of worker related injuries and even deaths. 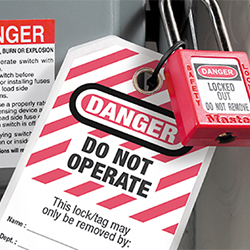 Lockout/Tagout procedures are utilized to protect employees from the dangers of hazardous energy and ensure they go home safely every day.